Toyota has decided to recall 780,584 vehicles in the US for a second time to address a suspension defect that may not have been fixed after a recall last year. The rear suspension arm in affected vehicles may rust, leading to eventual failure, if nuts are not tightened properly during service. The US safety watchdog said this could “cause a loss of vehicle control, increasing the risk of a crash”. The models affected are the RAV4 sport utility vehicle and the Lexus HS 250h. The RAV4 models covered by the recall were manufactured between 2006 and 2011, and the Lexus vehicles affected are the ones made between October 2005 and September 2010. Toyota first recalled the vehicles in August last year to carry out repairs on the affected parts. 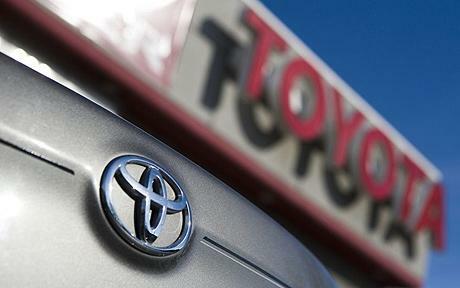 However, in a letter sent to dealers, which was posted on the safety agency’s website, Toyota said that it had received reports “indicating that some vehicles experienced symptoms of the recalled condition after being inspected or repaired”. “Upon investigation, it was discovered that some inspections were not adequate and portions of the repair procedure may not have been performed correctly,” it added. As part of the new inspection it has asked its dealers to replace suspension arms if any rust is found on them. “After the inspection or replacement, the rear suspension alignment will be set and the arms will be sealed with an epoxy,” it said. Toyota said it would then apply labels on the arms to indicate that they are no longer adjustable. The recall comes just as Toyota has been trying to rebuild its image after a spate of recalls due to safety concerns in the past few years.